Ladies oval shaped diamond locket of contemporary styling. The locket is crafted in 14k yellow gold and is set with round brilliant cut diamonds that are pave set horizontally down the center. 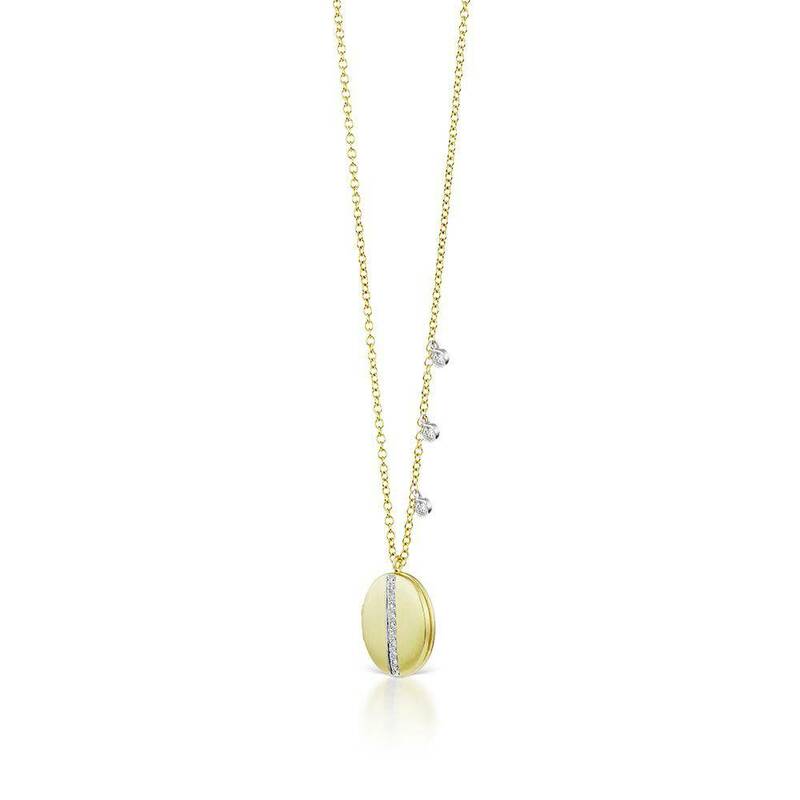 The locket is suspended on a rolo link necklace that measures 18 inches in length. This necklace is also set with three round brilliant cut diamond charms that are full bezel set. The locket is openable and accomodates picture inserts.